1. The water tank panel uses the cross pattern and adopts advanced Korean technology performance is optimal in all panels. 2. Strong resistance to corrosion,high strength, good sealing excellent waterproof property, with no leakage. 3. Light weight, that is one half of ordinary steel plate water tank easy to transport install,and assemble at site. 4. Good shape retention,cost saving food grade resin, good water quality, sanitary non-polluted. Shandong GRAD Group Co.,Ltd. is established in 1993, located in Dezhou Shandong,covering an area of 700 thousand square meters, with more than 2500 employees. The total capital is 925 million RMB, and annual output value exceeds 2.5 billion RMB. During 20 years' development, GRAD Group concentrates on the central air-conditioning and compound material products and show the world a high-technological enterprise combining construction budget, technical consultation, product design, Manufacturing and debugging service. There are 10 series, over 130 Kinds of products covering the whole central air-conditioning series and the compound materials series Products. The high standard workshop covering 350 thousand square meters. (1) Tell customers how to use our products and matters needing attention. 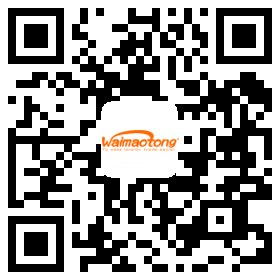 (2) Guide customers to choose the best and economic product, recover the investment within short time. (3) Site inspection if you need. (1)Quality control must be inspected strictly. (2)In accordance with the agreements stipulated in the contract. (2) Usually, our product warranty is 18 months after leaving factory or 12 months after installation. within this months, all parts broken will be responsible for our factory. Company Name:SHANDONG GRAD GROUP CO., LTD.